Mark is a Professor in Public Health Nutrition at Deakin University, Australia. He has 30 years experience working in food policy at local, state, national and international levels. Mark’s research interests focus on food systems and sustainability, and the science and politics of policy-making associated with protecting and promoting public health nutrition. Mark teaches at postgraduate level in food policy and food regulation, and is the coordinator of the University’s postgraduate public health nutrition programme. He is a regular presenter at national and international conferences and has published widely including the research books: ‘Food fortification; the evidence, ethics, and politics of adding nutrients to food’, 2013, Oxford University Press, and 'Public health nutrition: from principles to practice', 2007, Allen & Unwin. 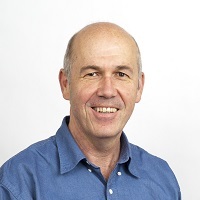 Mark is a technical advisor to the WHO, a member of Food Standards Australia New Zealand’s Public Health Dialogue, the Australian Department of Health’s Nutrient Reference Values Advisory Committee, and a former member of the Australian NHMRC’s Dietary Guidelines Working Committee. Lawrence, M.A., Chai, W., Kara, R., Rosenberg, I.H., Scott, J. and Tedstone, A. (2009). Examination of selected national policies towards mandatory folic acid fortification. Lawrence, M.A., Galal, O., Margetts, B.M. and Yngve, A. (2009). Building global alliances for public health nutrition training. Hoek, A.C., Pearson, D., James, S.W., Lawrence, M.A. and Friel, S. (2017). Shrinking the food-print: A qualitative study into consumer perceptions, experiences and attitudes towards healthy and environmentally friendly food behaviours. Appetite, 108, pp. 117–131. doi:10.1016/j.appet.2016.09.030 . Phulkerd, S., Lawrence, M., Vandevijvere, S., Sacks, G., Worsley, A. and Tangcharoensathien, V. (2015). A review of methods and tools to assess the implementation of government policies to create healthy food environments for preventing obesity and diet-related non-communicable diseases. Implementation Science, 11(1). doi:10.1186/s13012-016-0379-5 . Lawrence, M., Burlingame, B., Caraher, M., Holdsworth, M., Neff, R. and Timotijevic, L. (2015). Public health nutrition and sustainability. Public Health Nutrition, 18(13), pp. 2287–2292. doi:10.1017/S1368980015002402 . Lawrence, M. and Riddell, L. (2007). Mandatory fortification with folic acid - what would Hippocrates say? Australian family physician, 36(1-2).